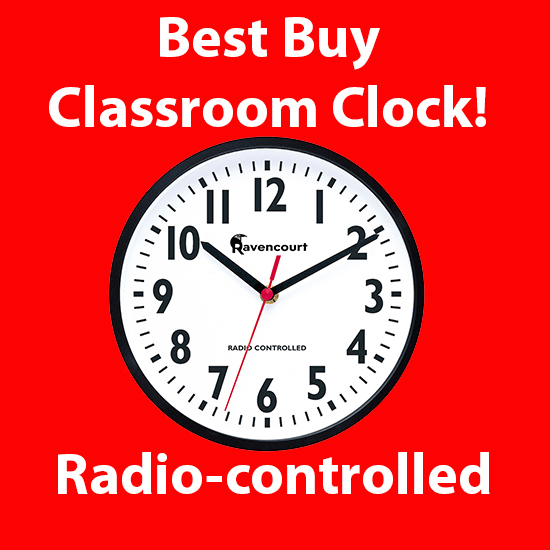 This is our best buy Radio controlled classroom clock for schools. 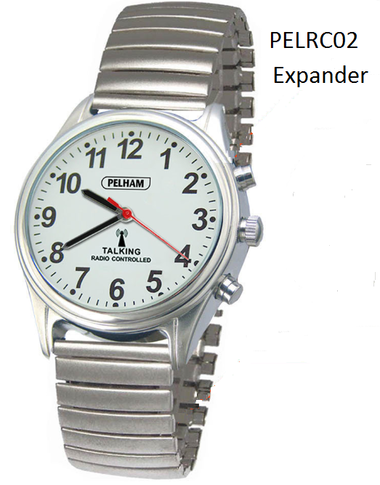 It does exactly what it says on the tin. 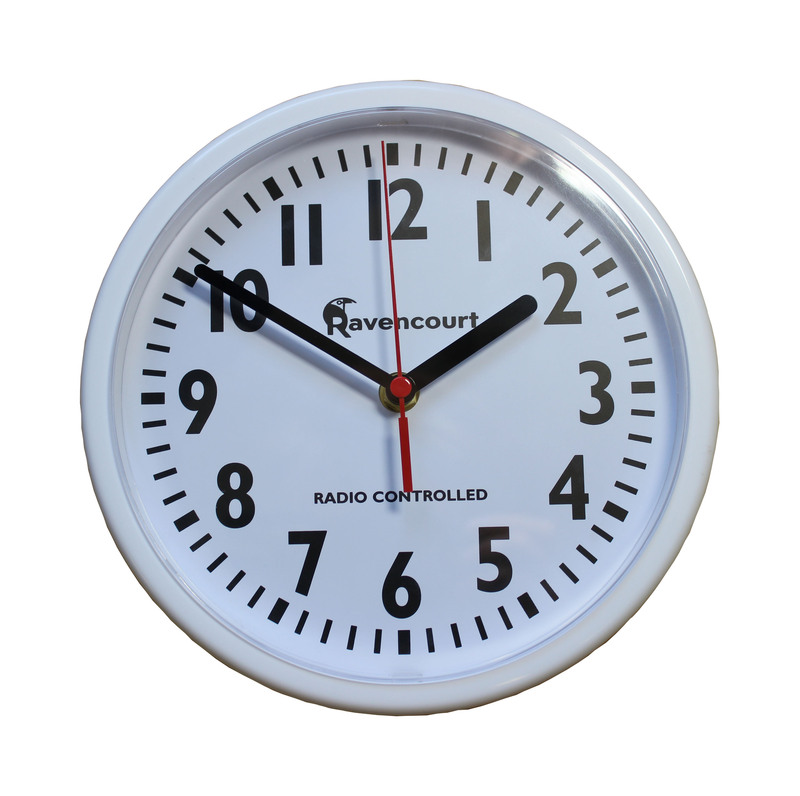 Just put a battery in and it will do the rest. 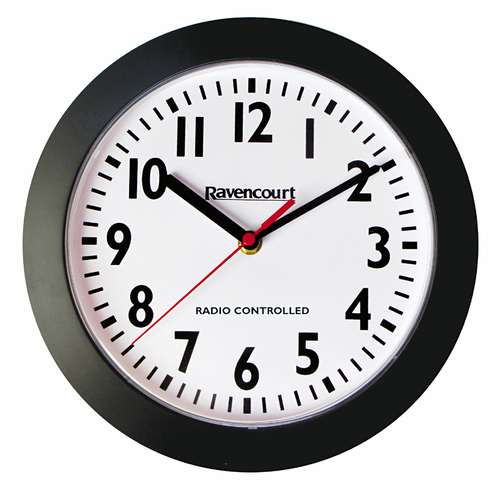 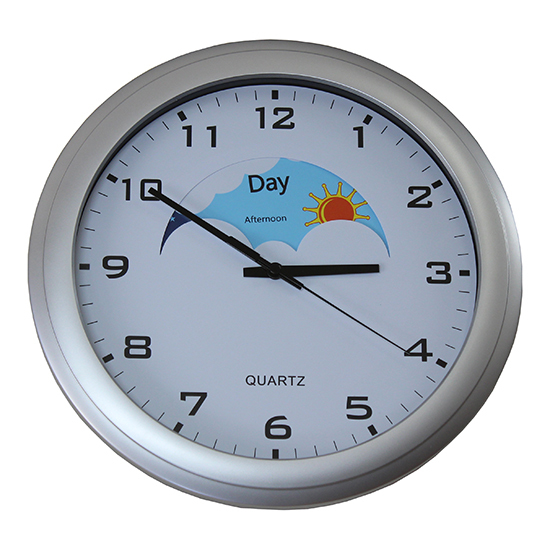 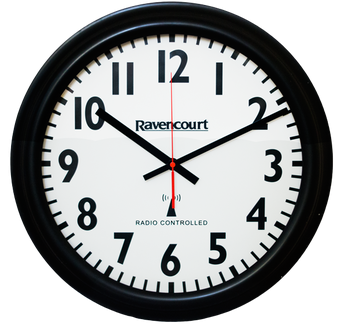 This Classroom Clock Is Ideal for keeping time in everyday school situations, With a high quality MSF radio controlled movement, shatterproof acrylic lens and the Ravencourt Ultra Bold Dial it can be easily seen in most classroom environments, meaning the numbers are as easy to see as many larger clocks on the market.